Charlie McConalogue is 33 years old. He became Councillor at his first attempt in 2009. This will be his first run for the Dáil. He previously worked at Fianna Fail HQ as a Political Organiser. McConalogue holds a degree in economics, history and politics from UCD. 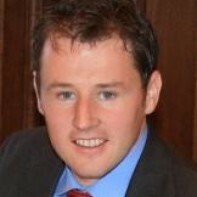 McConalogue served as Deputy Mayor of Donegal in 2009 –2010. He helps run the family farm in Gleneely, Carndonagh.